How Far is Vihang Vermont? Vihang Vermont is a beautiful project developed by Vihang Group, the project is located in Thane at Thane West locality, a masterpiece which will redefine the meaning of comfortable living in Thane city, enriching the lifestyle of the residents, The project offers the apartments for sale in Thane West, here you can find all the basic facilities around you, these majestic apartments are designed for enriching your senses. Located in Thane West, Vihang Vermont offers 1BHK and 2BHK apartments, here 1BHK apartments super built-up area is 436 Sq ft, 675 Sq ft and the super built-up area size of 2BHK apartments varies from 610 Sq ft to 1100 Sq ft, a place which will welcome you with cool breeze and positive vibes which will rejuvenate your mind and soul. A place where you would want to grow old with your family and friends. 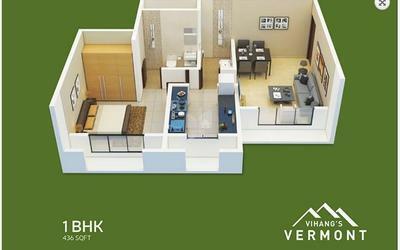 Give life to your dream move into Vihang Vermont developed by Vihang Group. Enjoy your life surrounded by a tropical garden in this Wi-Fi enabled building in addition to this Vermont offers a rooftop open-air gym with a breath-taking hill view and creek view. Come and be apart to this amazing abode and spend quality time with family and friends. The location of the project is well connected to various parts of the Mumbai through multiple modes of the transportations. Along with apartments in Thane West the project offers many amenities, some of them are gym, jogging track, badminton court, tennis court, swimming pool, clubhouse, intercom, parking, rainwater harvesting system, children's play area and car parking. Vihang Group started its journey in the year 1989, Vihang group is a ‘customer-centric ‘group, the group is continuously redefining and broadening the definition of affordable housing. Since from the inception, the group has provided an immeasurable contribution to the real estate industry of Thane with its amazing work. The group started as a real estate consultancy and now the group has become a pioneer in the real estate property development. Each project is built to celebrate the life in the best form. The projects are designed with a vision to build your dream, not with Bricks and Beams’ but using ‘Hopes and Dreams’. Vihang Group provides excellent projects which are affordable, built with innovative design which are sustainable, and the group make sure the projects are delivered on time with excellent quality. The group has involved itself in providing landmarks in hospitality, recreation, entertainment, and in production sectors. 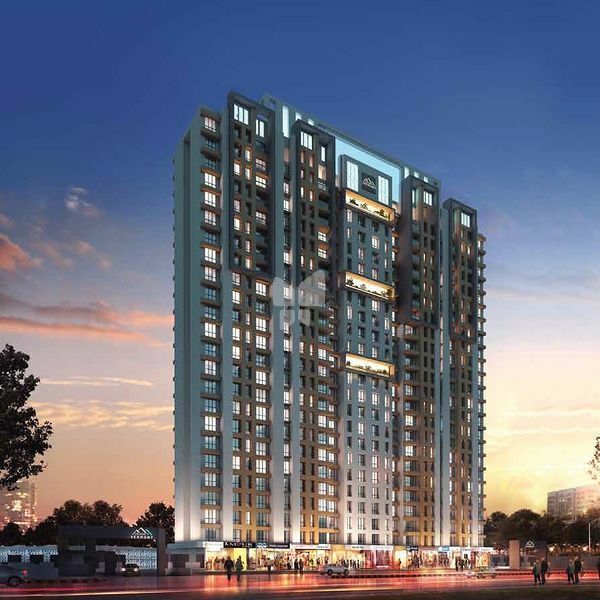 Vihang Vermont is an example of amazing work done by the Vihang Group, the project is located in Ghodbunder Road, Thane West and it offers 1BHK and 2BHK apartments for home buyers. 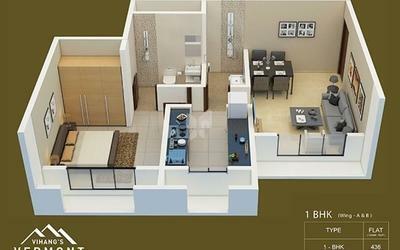 With more than 27 years of experience in the real estate industry the Vihang Group is creating landmarks in the region of Thane, till now the group has successfully delivered many projects, some of them are Vihang Valley Phase 4, Vihang Valley Rio, Vihang Mount Utopia, Vihang Valley Pearl, Vihang Hills, and the list goes on. A vision to 'build an empire brick by brick' led to the foundation of Vihang Group and this just seconds the desire of our consumers who strive hard to experience their dream home. Vihang Group will continue to exist to serve not only niche segment but also the larger part of our society by providing them affordable luxury. We value the intangible element of Real Estate business along with quality of tangible elements. We will continue to strive for providing experiential excellence to our consumers. Experience of interacting, experience of purchasing and finally experience of consuming the dreams are our aim that we intend to offer to the society. In harmony with our vision of providing affordable luxury our mission is to offer affordable lifestyle homes in conjunction with the best infrastructure, amenities & location for people searching properties in and around Thane. We aim to be a primary choice for residential and commercial properties in Thane. So far, we are market leader in Thane and foresee our expansion in other parts of Mumbai as well.